Lately I got time to do some crocheting and some decoupage. 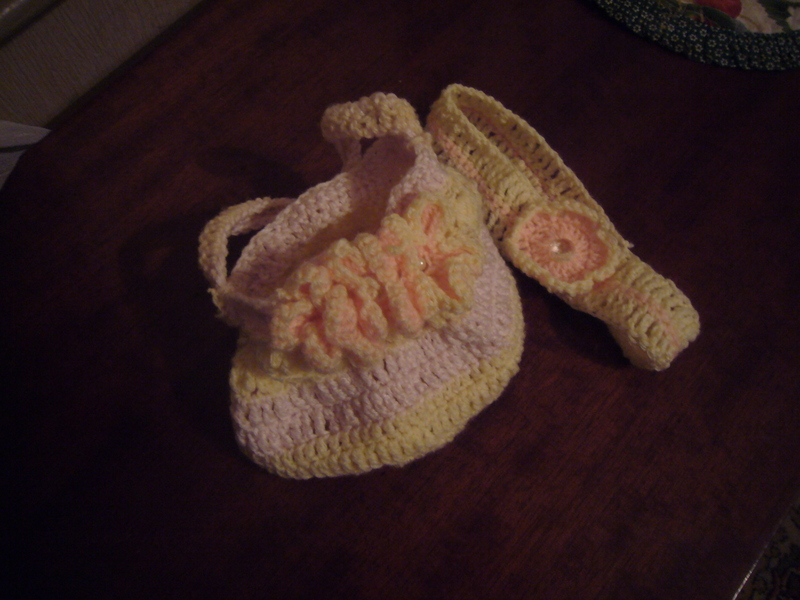 Here is my small project: crochet baby purse and headband for my older daughter. I learned new to crochet new flower patterns doing this small crocheting project of mine. I always try to live greener. So, for most of my crocheting work I reuse the yarn. I had two old baby sweaters and one old scarf. So, I used them to crochet some new stuff. This entry was posted in Crocheting and tagged crafts, crochet, crochet baby purse, crochet bag, crochet flowers, crochet headband, crocheting, green crocheting, handmade, yarn. Bookmark the permalink.